Stopovers are an underutilized mechanism that can be used to see more places on an award ticket for the same amount of miles as a direct flight. While most people want to get from point A to point B as quickly as possible, seasoned travelers know how to get the most for their miles. There are three possible deviations to an itinerary between your origin and destination: stopovers, layovers and open jaws. A stopover is when you stop at any point en route to or from your destination for more than 24 hours on an international flight, and more than four hours on a domestic flight. A layover is when you stop at any point en route for less than 24 hours on an international flight, and less than four hours on a domestic flight. When you have a connecting flight at an airport, that is a layover. An open jaw is when either your origin or destination airport is different on either your outbound or inbound flight. For example, if you fly from New York to London, and return from a different city in Europe like Paris to New York. With an open jaw you must find your own transport to the next flight. In order to use a stopover, you’ll have to make a connecting flight somewhere between your departure point and your final destination or on the way back. In addition to letting you see more places, itineraries with connecting flights are sometimes cheaper than direct flights. That can be the case for both award flights and cash tickets. Airlines know that most travelers want to take the shortest flight, so they generally charge more for them. You may be thinking that using a stopover and visiting two destinations instead of one will take a lot of time. While it’s true that you’ll probably need to travel for longer, it would still take less time than if you took two vacations and had to fly to both destinations separately. So, if you can take one longer vacation, instead of taking two smaller trips, you will actually save travel time. Depending on the airline, free stopovers are not always available. All three of the major U.S. airlines—American, United and Delta—used to allow free stopovers on award tickets, but that’s not the case anymore. Currently, only United allows them, and only on international routes. United is also generous with open jaws, allowing two per flight. Let’s take a closer look at how to use stopovers to your advantage. If you want to fly from New York to Rome, for example, with a four-day stopover in London, it will cost the same 60,000 miles for a round-trip ticket at the saver rate as it would for a direct flight to Rome. Fill out the flight information on the next screen. You’ll need to click “add another flight to your trip” at the bottom. We’re searching for three flights: New York to London, London to Rome and Rome to New York. There are a lot of choices, but let’s pick the first option, which has a short layover in Dublin before arriving in London. The calendar implies that award flights might not be available on that day by displaying it in white (instead of yellow or green). 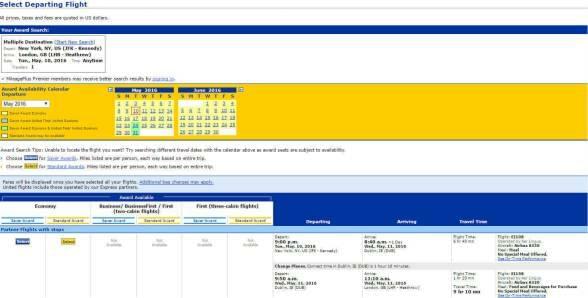 But if you’re able to select the flight in the table below the calendar, it’s available. 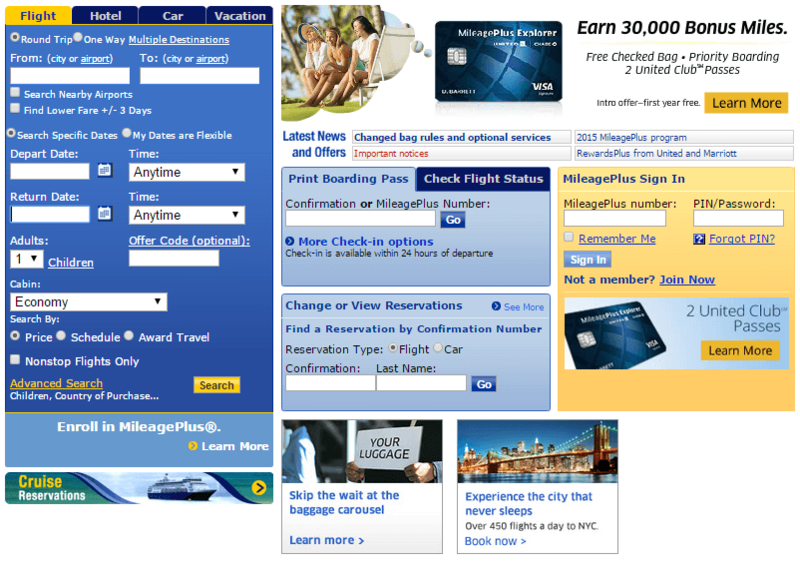 There are also a lot of choices for the return flight between Rome and New York. This is the first one on the list with the shortest layover time. 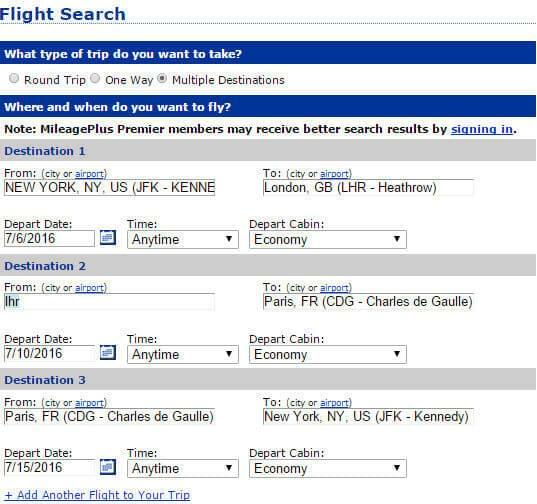 After selecting it, you’ll see your complete itinerary and its cost in miles, plus the taxes and fees. This route, which includes four days in London, costs the same as the direct flight to Rome. You’ll pay slightly more in taxes (around $80), but that’s because of Heathrow’s airport tax, which is the highest in Europe. In any case, the extra $80 is a lot less than airfare to London from either New York or Rome. As you can see, stopovers can be a good way to extend award travel to more destinations, and adding a stopover doesn’t have to be complicated. If you’re having trouble finding award availability on United’s website, you can try calling them. 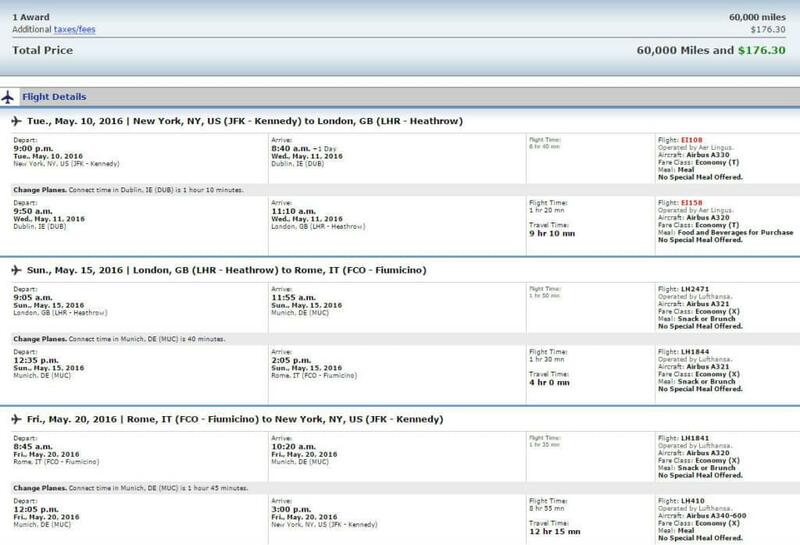 The website doesn’t display all of the airline’s partners, so the agent might be able to find a seat for you.